New base upgrades are an important part of No Man’s Sky Next. Unlocking new base parts and building them makes your life much easier. There are several ways to get base upgrades, from completing certain quests, to using the blueprint analyzer, and so on. Of course, this will require some resources, such as pure ferrite and ferrite dust. 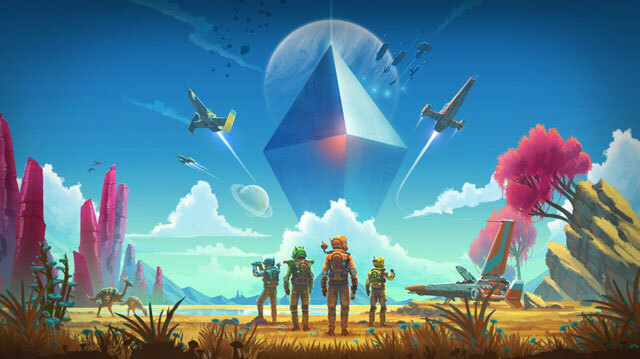 Because upgrading your base is such a big part of a game, here’s our guide on how to get No Man’s Sky Next base upgrades. How to Unlock Base Upgrades in No Man’s Sky Next using Base Computer? In order to unlock base upgrades and parts in the Next update for No Man’s Sky, there are several things you can do. The first and easiest method is completing certain quests. First, and definitely most important, is the base computer. You have to actively select the base computer quests from your quest log. This will get you a plan. About an hour and a half later, you’ll get the next step in the quest. Remember to actively select those quests. Your rewards range from the basics to the landing pad. The issue here is that base computer quests don’t appear for all people. Sometimes, you can fix this by building more of your base. However, it appears that a number of players just aren’t getting the quests at all. That’s something the developers are going to have to fix; nothing you can do about it, unfortunately. How to Get No Man’s Sky Next Base Parts from Overseer? The Overseer and the quests they give you are another excellent method of getting base upgrades. On top of that, you can get new terminals and people for hire by completing these. The first step you have to take is to make a construction terminal and hire an Overseer. Then, go and do what they tell you. Each NPC you find this way will give you something that the Overseer requires, plus another NPC. Said NPCs include the scientist, armorer, farmer, etc. Even after you complete the Overseer quest chain, you can still keep coming back for dailies. Like with the base computer quests above, some people have been reporting issues with Overseer quests; namely, that they’re not showing up. Yet again, this seems to be a bug, so you’ll have to be patient until the devs patch it. No Man’s Sky Next Base Upgrades – How to Use Blueprint Analyzer? The Blueprint Analyzer is very handy for getting base upgrades, even though it can be a bit grindy. Basically, when you go to the Blueprint Analyzer terminal, it will tell you how much salvaged tech you need for a given part. To get salvaged tech, you need to go scan a planet. If you find the appropriate icon, you have to unearth a buried capsule on it. Mostly you’ll get a bunch of nanites, but also some salvaged tech more often than not. And, every time you purchase an item from the Blueprint Analyzer, it’ll automatically add a new one. Since the game still has some kinks to iron out, you might want to save often while grinding out salvaged tech, especially just before you purchase something from the Analyzer. If you buy something, and the game won’t let you build it, you can then easily reload and prevent the loss of progress. Building and upgrading your base is going to require a lot of ferrite, so you’ll have to stock up on it. There are several ways to go about amassing ferrite. The first one is to scan large unidentified rocks on planets; a number of them can give you pure ferrite. You should have an advanced mining laser in your arsenal to make this easier. Another method is refining ferrite dust into pure ferrite. One way of getting ferrite dust is mining it. Another is to refine parafinium, which you can find in deposits in random rocks, usually from those that already grant ferrite dust, but you can never have enough ferrite. You can also purchase ferrite dust from space stations fairly cheaply, and then just refine it yourself. On that note, make sure you build a permanent refiner in your base as soon as you can. We would like to give a shout out and huge thank-you to Reddit user Professor_Snarf for their helpful insight into this subject.